The right-wing Law and Justice party swept back to power in Polish elections on Sunday (25 October), winning an absolute majority of 232 seats in the 460-seat parliament, based on exit polls. The result marks the end of eight years of rule by the centre-right Civic Platform party. With Law and Justice having won presidential elections in May, it also marks the first time in Poland's post-Communist history that the same party controls both levers of state. 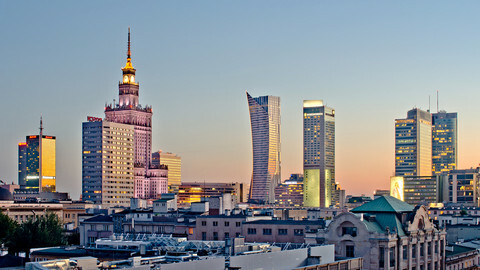 The win comes amid perceptions that Civic Platform, which presided over a period of strong economic growth, served business elites instead of ordinary Poles. Law and Justice has promised to lower the retirement age, boost welfare, and cut taxes for small businesses, while raising taxes for banks and supermarket chains. Its campaign also included more populist elements, depicting Civic Platform as being servile to Germany, feeble on Russia, and putting Poles at risk of "diseases" brought by Syrian refugees under an EU relocation programme. Beata Szydlo, a 52-year-old coal miner's daughter who is to become Poland's new PM, said at the victory rally: "We didn't turn away from reality. We were there, where people find life hard. We have to continue this work. We can't waste the hopes of the Polish people". "We didn't turn our backs on anybody and that's our biggest capital". 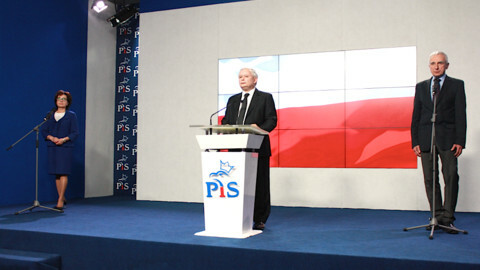 Jaroslaw Kaczynski, the Law and Justice party chief, who dominated the campaign and the victory celebration, also sounded an inclusive note. 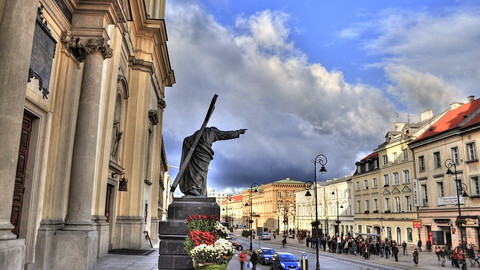 "We stretch out our hand to all those who want to change Poland. There won't be any revenge, any personal emotions, any point-scoring, any kicking of those who are down, even if they fell justly and due to their own fault", he said. 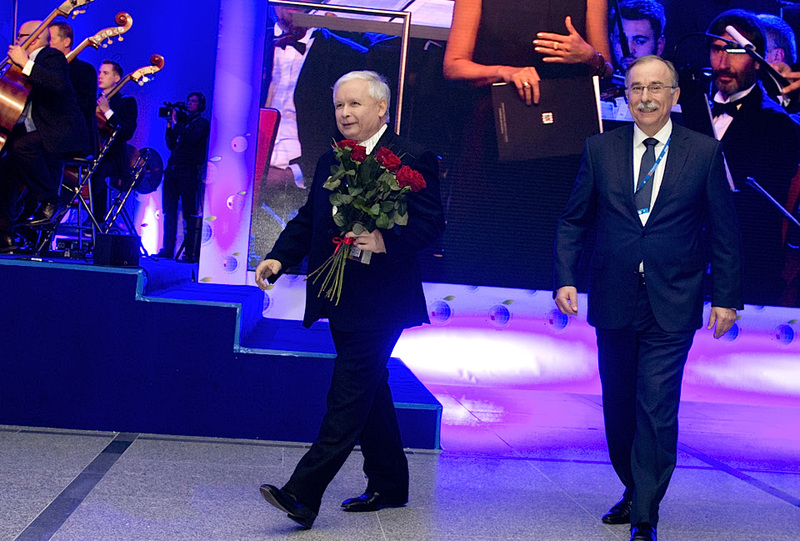 He paid tribute to his late brother, former president Lech Kaczynski, who died in the Smolensk air disaster in 2010, saying Lech's "deep sense of sacrifice for Poland and for working people" still guides his party's vision. For his part, Donald Tusk, the former Civic Platform leader who now chairs the EU Council in Brussels, said the Civic Platform years were "good years, even if they didn't satisfy everyone". The Law and Justice victory augurs potential clashes with the EU on migration, fiscal discipline, Russia relations, and climate change policies. But Tusk noted that Brussels is "open" and "sincerely welcoming" to work with the new Polish leadership. Voters put Civic Platform in a distant second place, with 137 seats, prompting speculation the party will change its leader, Ewa Kopacz, the current PM, who will step down from office no later than 24 November. The Kukiz'15 party came third with 42 seats. Its leader, Pawel Kukiz, a rock star, said he'll fight to "the last drop of blood" to create a more people-friendly constitution, for instance, by lowering the threshold for referendums. Nowoczesna, a new pro-business, liberal party, came fourth with 30 seats. PSL, an agrarian faction and former Civic Platform coalition partner, also made it into parliament with 18 places. 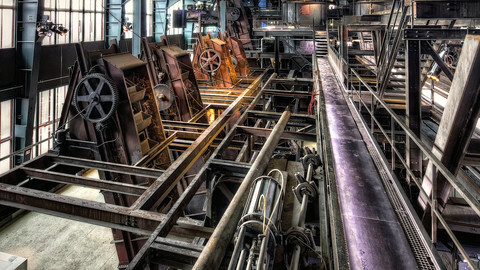 ZL, a centre-left coalition, failed to pass the threshold. Korwin, a far-right, pro-Russia party, also failed, by a whisker. For his part, Guy Verhofstadt, the leader of the Liberal group in the European Parliament, on Sunday welcomed the "birth of [a] new liberal force in Polish politics". 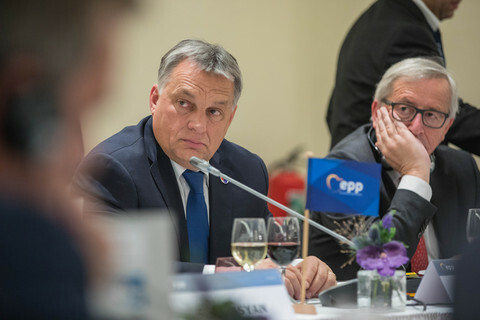 But he warned that if Law and Justice, which sits in the anti-federalist ECR group in Brussels, returns to its eurosceptic roots it would be a "travesty" for Polish society and would serve Russia by dividing the EU. International media issued similar warnings in editorial columns. The Guardian, a British daily, compared Law and Justice to the far-right, anti-EU National Front in France and the PVV in The Netherlands. The New York Times said Poland is part of a broader swing to the right in eastern Europe, including in Hungary and Slovakia. The Financial Times said economic growth and foreign investment could slow if the "nationalist" Law and Justice makes good on electoral promises. 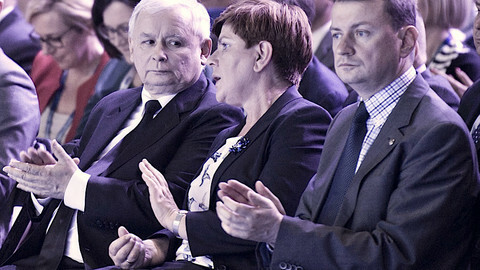 Le Monde, the French paper of record, highlighted Szydlo and Kaczynski’s conservative social mores and their links with the Polish Catholic church. 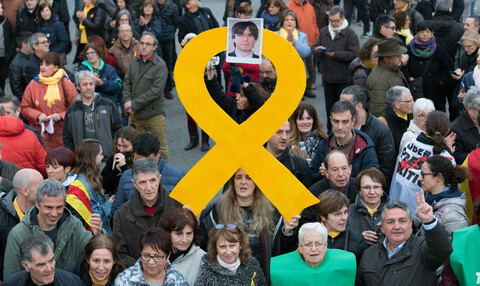 Spain's El Pais described Law and Justice as "ultra-conservative" and predicted a "strategic" clash with EU institutions. German broadcaster ARD accused Kaczynski of "hate speech" on refugees, comparing his pre-election statements to the xenophobic Pegida movement in Germany. Italian media were equally scathing. The Corriere della Sera daily attributed Kaczynski's triumph to "anti-immigrant rhetoric". The La Stampa daily also compared Law and Justice to the National Front.